It was at the site now known as Maxwell’s Field in Princeton, New Jersey, that troops under General George Washington routed British forces during the Battle of Princeton, a key battle in the struggle for American independence. For nearly 240 years hence, Maxwell’s Field has been largely undisturbed, save the archaeological investigations that have confirmed evidence of the battle. But the land, which is now owned by the Institute for Advanced Study (IAS), may soon be developed under the banner of a new cause: fifteen units of faculty housing. 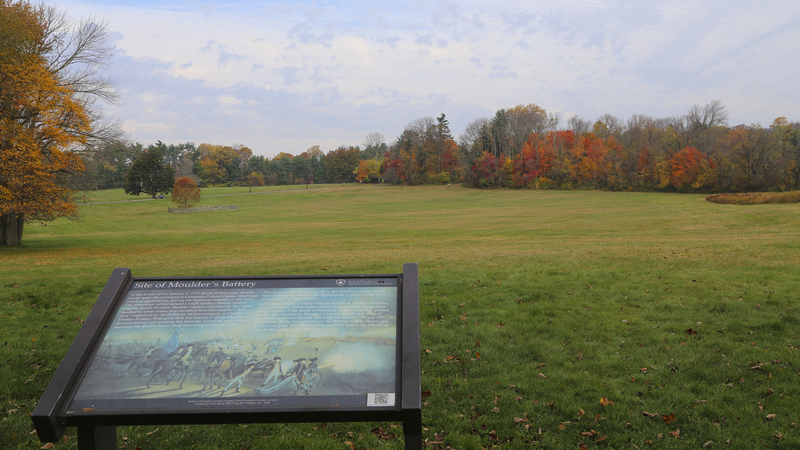 Occupying 22 acres adjacent to Princeton Battlefield State Park, Maxwell’s Field was witness to one of the key events in American history. Here, General George Washington launched a decisive charge against British forces on the morning of January 3, 1777. 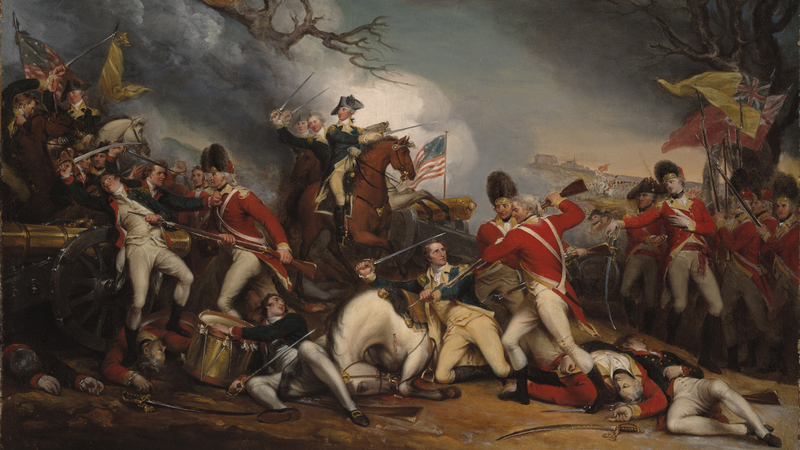 With the battle and the nation’s independence hanging in the balance, the Redcoats were driven into retreat. It was Washington’s first victory over British regulars in the field, and the culmination of a daring ten-day campaign that began with his famous crossing of the Delaware. Washington’s charge changed the course of the battle and rescued the Patriots' cause. Intact Revolutionary War battlefields have become increasingly uncommon, having fallen victim to development in recent years. Since 2003, the IAS has been actively pursuing plans to develop Maxwell’s Field. The current IAS proposal calls for construction of fifteen faculty housing units on the very spot where historians believe Washington’s charge struck the British lines. Despite the obvious impact this will have on an irreplaceable national historic landscape, the IAS has been able to secure support from municipal planning boards. In one instance, a local commission, the Delaware and Raritan Canal Commission, which had originally voted against the IAS proposal, held a controversial re-vote in February 2015 without public notice, doing an about-face and allowing the development plan to proceed. The Princeton Battlefield Society, a local volunteer organization, has challenged the local government approvals in court, and recently appealed a ruling by the Mercer County Superior Court that affirmed the local planning board’s approval. Unfortunately, the Superior Court also discontinued a restraining order, in effect since June 2015, preventing the IAS from beginning construction on the property. The Civil War Trust, which preserves Revolutionary War battlefields through its Campaign 1776 initiative, has offered to buy the property for $4.5 million. The IAS has repeatedly refused to meet with the Trust to consider alternatives to building on the historic landscape. The introduction of heavy equipment and the removal of trees began in late November and construction began in December 2015. 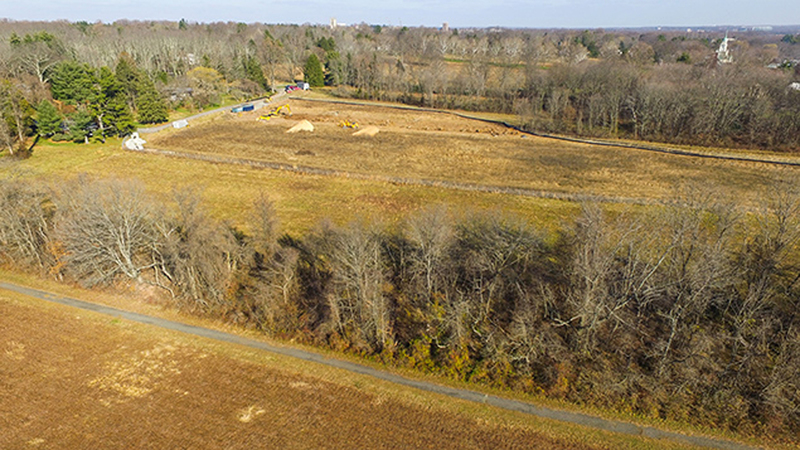 Unless the New Jersey Supreme Court steps in, or other forces are brought to bear, the bulldozers will continue to destroy George Washington’s Princeton battlefield—the site that saved the American Revolution. Contact New Jersey Governor Chris Christie and ask him to support the appropriate stewardship of Maxwell’s Field. Contact Robbert Dijkgraaf, Director of the Institute for Advanced Study, and ask him to halt development on the site of Maxwell’s Field. Sign a petition launched by the Civil War Trust to oppose the development of the historic Maxwell’s Field.